EdX is one of the most important platforms for MOOCs. More than 14 million students are learning from more than 100 top universities. Read more about the MOOC masters. MOOCs (Massive Open Online Courses) are a modern form of online learning. And edX is one of the most important course platforms in the world. EdX was founded by MIT and Harvard. Today, more than 14 million participants from all over the world are learning with these courses, which are mostly free of charge. Who are these Masters of MOOCs based in Boston? As is the case with all MOOC platforms, the course content in the edX MOOCs comes from universities. EdX is especially proud of the exceptional quality of the participating colleges and universities. Seven of the 10 best universities in the world are offering course content via edX (according to THE-Ranking). Approximately 100 universities in total are offering over 1,000 MOOCs via edX in a large variety of subject areas. Through the MOOC format, they are able to reach an international audience of online students. 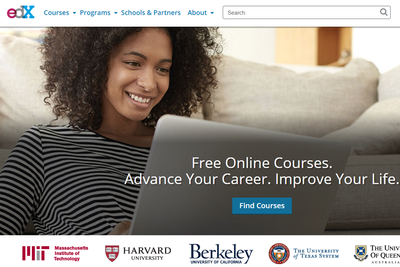 How exactly does edX offer its MOOCs? The university contributes the course content, meaning individual professors teach in front of a camera. The colleges and universities also develop all supporting course materials. The MOOC platform takes care of all the technical aspects. This includes administrative duties, such as awarding of certificates. Income from the fees for the paid certificates is shared between the university and edX. During the MOOC, students learn online through video lectures provided by the respective college or university. At the same time, students (and teachers) interact with each other in discussion forums ("How Does a MOOC Work?"). With most of the edX MOOCs, the entire learning process is completely free of charge. In addition, course participants can obtain optional certificates. These will be issued after an identity verification and after students have taken an online exam. Most certificates cost between $50 and $100 USD. Similar to other MOOC platforms (e.g., the largest provider Coursera), edX was started because of the initiative of professors who were experimenting with digital teaching methods. For example, in 2012, MIT professor Anant Agarwal suddenly and unexpectedly had over 150,000 registered students in his video course on electrical engineering. Although many students were simply curious about this experiment, approximately 7,000 of the 150,000 students successfully worked their way through to the final certificate. This took the same teaching effort as a conventional in-person lecture. (This course is still available via edX). Suddenly the potential of online learning had become tangible even for rather conservative university committees, and the founding partners Harvard and MIT began to invest millions of dollars into the edtech start-up. About 5 years after edX began, a total of 11 million students had been registered (today this has grown to more than 14 million students) and had signed up for 40 million individual courses. Participants come from every country on the globe except one (North Korea). The U.S. (about 25% of the participants) and India (about 10%) are the main countries of origin. More than 2/3 of the students already have a university degree. The course offerings are less IT heavy than with other MOOC platforms. About 1/3 of the courses are in the areas of science/ technology, social sciences, and related subjects. Only about 20% of the courses are in IT/ computer science, and about 10% are business-oriented courses. English language courses still make up about 90% of the course offerings. However, some of them now offer subtitles in other languages. What does a typical MOOC look like? EdX founding institutions Harvard and MIT have published detailed statistics about this. The number of participants per course ranges from a few hundred to tens of thousands. An average MOOC initially has about 8,000 participants (not all of them with degree goals), of which about 500 receive a certificate. Certificates are usually optional and fee-based. What Are the Most Popular MOOCs at edX? A Harvard MOOC introducing Computer Science (also known as “CS50”). Fundamentals of algorithms, data structures, IT security, and software and web development are included, as well as basic programming skills (including C, PHP, Java, and HTML). This video course by UC Berkeley offers a practical introduction to Positive Psychology. Here, participants learn at the intersection of psychology and neuroscience. This MOOC by MIT introduces the fundamentals of Electrical Engineering (previous knowledge of high school level mathematics/ physics is sufficient). The course consists of three parts. 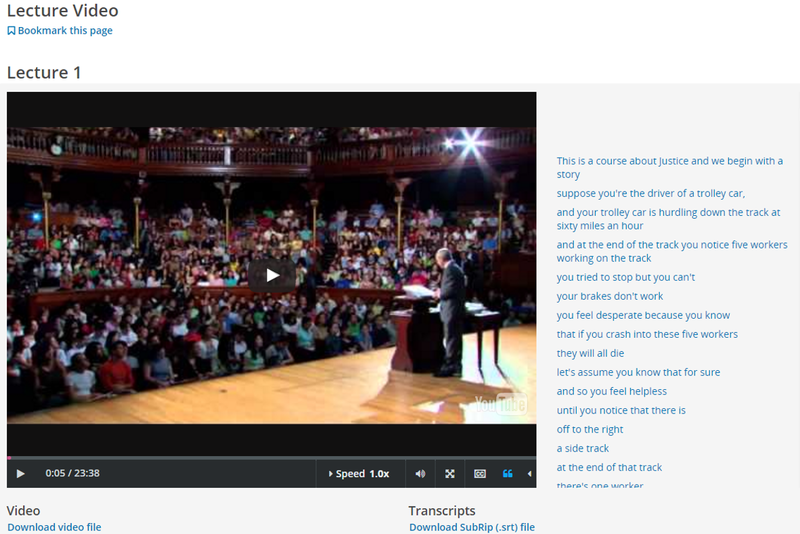 A legendary MOOC on Moral Philosophy (Harvard). Using many case studies, students learn to think about difficult moral questions in a structured way. EdX operates as an Open Source Project. This means that this platform’s software is accessible to any interested institution. At OpenEdX, universities can customize their own course platforms as an alternative to offering their MOOCs via edX’s general platform. Multi-university institutions such as French MOOC platform FUN, Arabic platform Edraak, or XuetangX from China are based on OpenEdX technology. Individual universities such as Stanford or George Washington also use the open source software. A few years ago when there was a lawsuit against edX claiming insufficient accessibility of the online platform to people with disabilities, the question of openness was much discussed. Educational institutions in the U.S. that receive public funding have to provide sufficient accessibility to that group of participants. EdX and the U.S. Department of Justice were subsequently able to find a mutually agreeable solution. Certificates and Academic Credit for MOOCs? Today, many MOOCs offer certificates. EdX calls these Verified Certificates. They are optionally available for most of the video courses for a fee. A certificate can be listed in a CV for job applications ("Are the Certificates Worth It?"). The top certificate hunter with edX (a Canadian lawyer) has already received more than 100 Verified Certificates. Comprehensive learning opportunities in a specific subject area. Due to the high quality of content, these courses are increasingly accepted by employers as professional qualifications. Preparation for a Master´s Degree Program. MicroMasters Certificates are eligible for credit towards a master’s degree at certain universities. In its first year alone, 600 learners from 79 countries were able to complete a program certificate. Overall EdX is more academically oriented than other MOOC providers (such as Coursera or Udacity). via the Professional Certificates, a series of courses that are even more targeted towards professional development than the xSeries, especially in computer science and business. For example, every year, hundreds of thousands of learners acquire Excel skills in a free and open MOOC by Microsoft. Of course with edX (as with any start-up), there are still some things that don’t yet go completely smoothly. The changing availability of courses: Most edX MOOCs have fixed running times. After the course ends, the learning content remains accessible, but tests can no longer be taken or certificates received (“archived course”). Also, the discussion forums are not always accessible. Many students are bothered by the waiting period between courses, which can be up to several months. However, with increasing numbers of learners, the frequency with which courses will be offered will go up, and with that, the waiting period will be reduced. The confusing variety of programs: Only MOOC experts know exactly how the various MOOCs, MicroMasters, xSeries, and Professional Certificates differ from each other (see above). Our practical tip: Focus on the subject content, not the names of the programs. Once you have found a suitable subject, you automatically reduce the number of choices you have among different course formats. EdX is run as a nonprofit organization. It is primarily financed by its partnering universities (mainly Harvard and MIT), supplemented by income from certificate fees (and donations). By the year 2020, edX expects to be completely self-financed. refugees are supported; for example, a partnership was formed with German "refugee university" Kiron. With our Course Manager, you can organize your online learning and plan your individual learning schedule. Interested in online courses? Sign up for our newsletter here, and follow us on Facebook or Twitter!